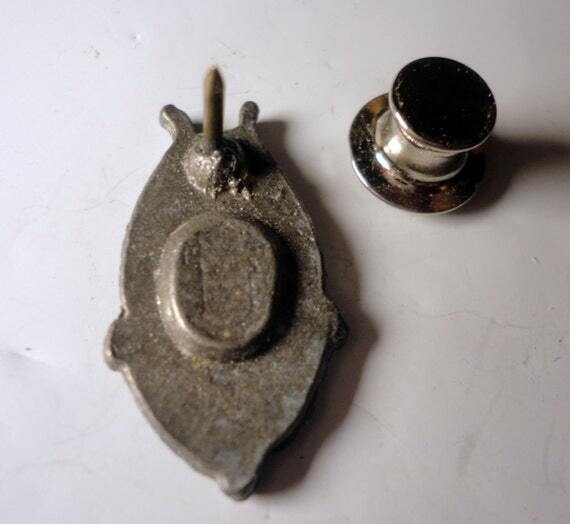 Can anyone help me read the engraving on the back of his pin - even enlarging the photo didn't help me? Also, can the age be determined by the style? I think Molly got it! I smell reproduction though. The genuine article would be more "crisp". 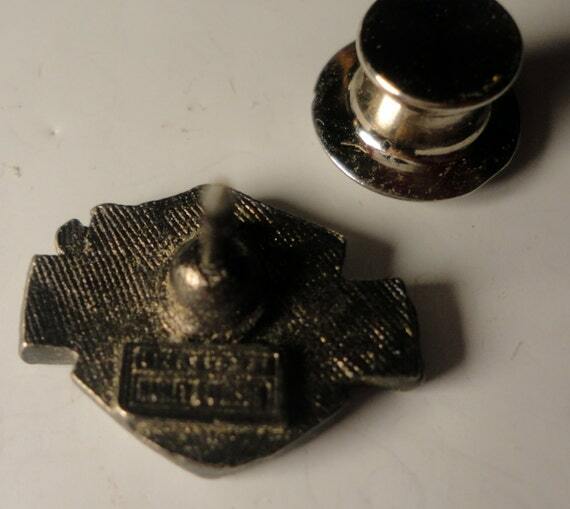 Both of these examples say "Vintage with Official Harley Logo." 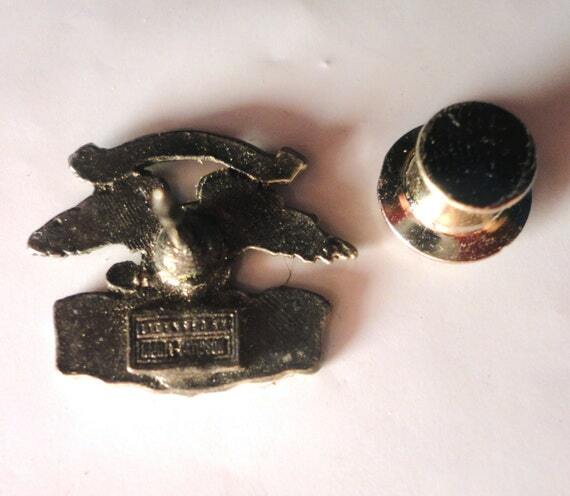 While your pin might be official Harley merchandise, it looks like it was made a lot more recently. 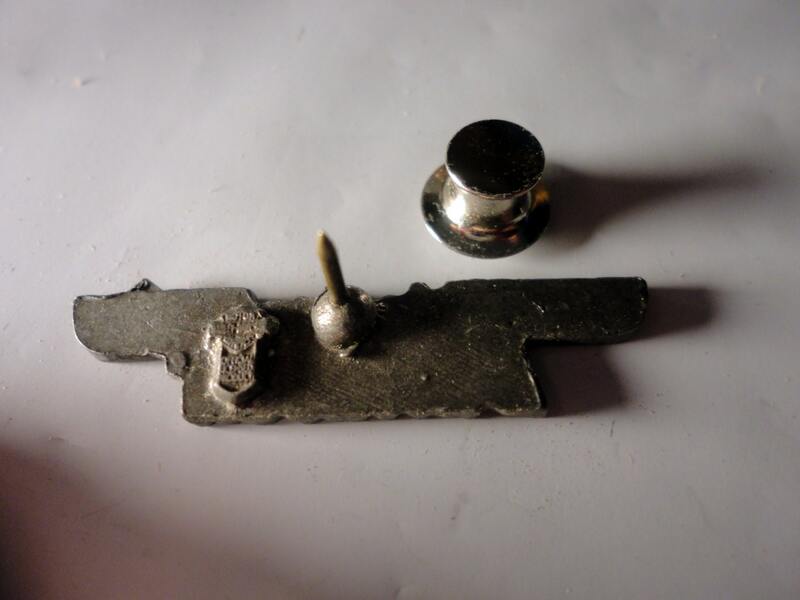 The metal is different and the bars on the back holding the pin in place are not present on the older one. Not sure what that means exactly, but there are a couple of distinctions.